unlocking phone was never so easy - Huawei Honor 7i with a cool trick for taking pictures. 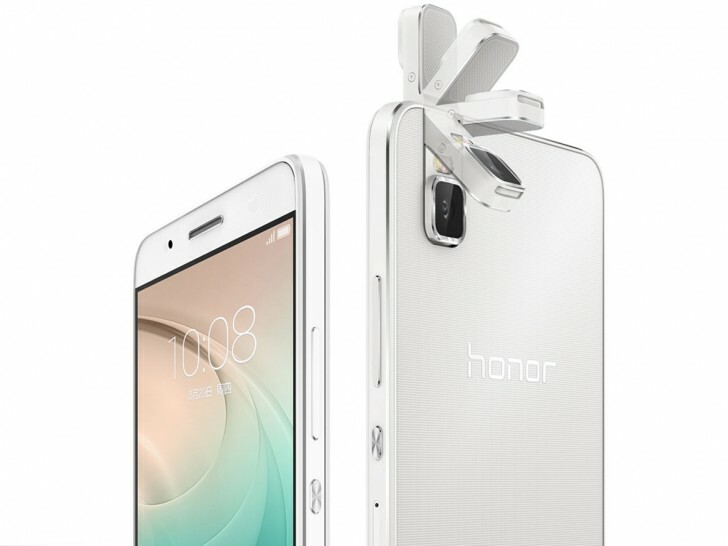 unlocking phone was never so easy > Unlock support > Huawei > Huawei Honor 7i with a cool trick for taking pictures. Full Version: Huawei Honor 7i with a cool trick for taking pictures. The newest Huawei model called Honor 7i will be soon available in China. The biggest change in this incoming model is the rotating camera which can take pictures as a "selfie" or as the regular device from the back of the phone. The camera itself is a Sony 13 megapixel BSI sensor with 28mm f2.0 lens, which You can rotate open even 132 times a day, and it will last for two years at least. It also allows you to take some pictures from different angles without rotating the whole phone. This is a great product for all picture lovers and people who love to have fun with their camera. Another new thing about Honor 7i that you will not find in any different model is a finger scaner on the side of the device. The Huawei company is the smallest sensor yet and that it will work for unlocking the phone, and taking pictures as well. When it comes to the Huawei specification it has a 5.2-inch 1080p display. It is powered by a Snapdragon 616 with 3GB RAM and 32GB storage and a second version with 2GB RAM and 16GB storage. Both variants have a microSD slot. Powering it is EMUI 3.1 and a 3000mAh battery. Sim-unlock.net is a network unlocking company that offers special unlock codes for all Huawei models, from all networks.